Database Systems Corp. (DSC) is a leading provider of computer telephony systems and technology including Automated Call Distribution Systems (ACDS) and phone software. ACDS stands for Automatic Call Distribution System. "In computer telephony, an ACDS (Automatic Call Distributor System) is a phone application program that automatically distributes phone calls to a specific group of agent work stations." Automated Call Distribution is a technology that intelligently routes incoming phone calls when they are answered by a computer phone system. ACD systems generally process incoming phone calls on a first come / first serve basis. However, intelligent ACDs such as those provided by DSC can route calls based upon caller identification, dialed number, time of day, and custom defined parameters established in an IVR (Interactive Voice Response) program script. Some ACD / IVR solutions enable input and responses to be gathered using voice recognition programs. Contact DSC to learn more about our automated call distribution systems (ACDS) and phone software. OneSite Property Management Systems utilize our ACDS phone system and IVR software to automatically process incoming phone calls from potential real estate leasing clients and renters when the propery manager is not available. This product is referred to as the Virtual Leasing Assistant. Our automated phone secretary responds to each call and automatically directs the caller to a voice mail or call center based upon the type of real estate question or service required. Database Systems Corp. provides both automatic call distribution phone systems and outsourced ACDS services. The following solutions are available from DSC. DSC offers both analog and digital ACD phone systems with automatic call distribution and call routing features. A typical ACD answers inbound phone calls on a first in first out (FIFO) basis. The phone system will answer each call and if necessary hold it in a queue until it can be directed to the next available agent. 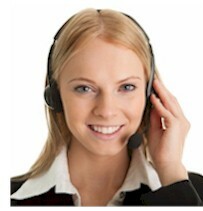 When an agent becomes available, this representative serves the next caller in the queue. DSC phone systems do far more than process calls in this type of sequence. The PACER (digital) and WIZARD (analog) ACD systems process calls in the sequence defined by the call center manager. These systems manage multiple call queues, keep logs of call group activity, and monitor call activity such as call queues, agents, and on hold times. Depending upon user defined business rules, our automatic call distribution systems can create different processing paths for different callers. Database Systems Corp. has tightly integrated its ACD with our award winning IVR software. DSC provides a robust ACD Software library for organizations that require complex ACD and IVR development. This Software Development Toolkit allows C/C++ programmers to create IVR applications on a wide range of Linux, Unix and Windows servers. Most IVR systems are built into the phone system or are self contained programs running on a separate system. The WIZARD and PACER IVR systems operate in a client/server environment. Phone applications can be developed quickly using this comprehensive software toolkit. Alternatively, DSC can provide you with a custom phone application. These applications can be seamlessly ported to our digital phone system when your call volume requires a larger system. Virtual Secretary - Automatically answer calls and route to appropriate individual or department. Virtual Help Desk - Accept incoming calls and answer caller questions or route to the agent with the skills required to satisfy the caller's request. Virtual Phone System or Virtual PBX - Computer phone systems that automatically answer calls and distribute these calls to remote agents or employees working from home. Database Systems Corp. also provides ACD hosting services at our secure and highly redundant data center located in Phoenix, Arizona. Contact DSC to learn more about our ACDs and ACD services.